Jonas Valfridsson, born 1980 in Jönköping, Sweden, is one of a new generation of young Scandinavian composers. With a mix from both modernistic and other traditions, Valfridsson's music is appreciated for its colourful instrumentation, subtle textures and mysterious beauty. He works mostly with orchestras and chamber ensembles with electronics, where he tries to make a very close connection between the idioms of electronic and instrumental music. Valfridsson has a Masters Degree in Composition, and has studied in Gothenburg, Paris and Stockholm. His orchestra work, In Killing Fields Sweet Butterfly Ascend, was awarded the Toru Takemitsu composition award 2007, and was premiered by the Tokyo Philharmonic Orchestra. 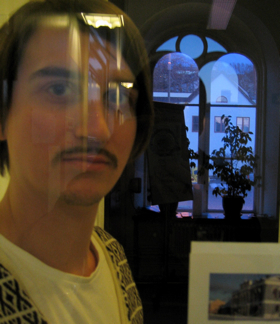 From 2009-2010, he is on a stipend at the Internationales Künstlerhaus Villa Concordia in Bamberg, Germany.